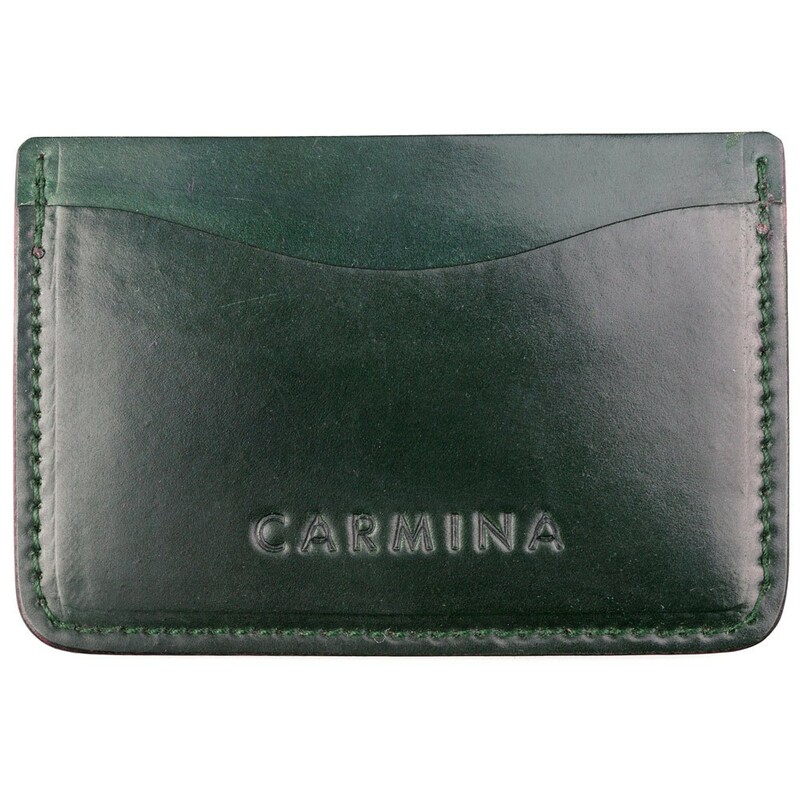 Slim card holder in green Shell Cordovan. Our card holders have been meticulously manufactured in Mallorca using the quality leathers we use for our shoes. Leathers are split to have a uniform thickness and stamped with Carmina's emblem. This minimalist wallet has two exterior card pockets and a larger central pocket.